You guys! It is almost SPRING! We are going to be in the 60’s all the way up to 70 degrees this week and I am loving it. There is this period of time where it is not time to garden yet, but I am feeling energized and motivated to get something done. I usually put that energy towards a really good spring cleaning for the whole house. Along with scrubbing, I also set aside things to donate and things to sell at a yard sale. It is probably a good thing that I do this because once I start gardening, the inside of my house gets ignored! 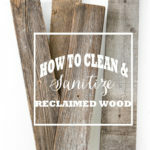 I wrote an article over on the HomeRight blog about deep cleaning. I gave a detailed list for each room of your house and I even have a cute FREE printable for you! It will become your new best friend. Here is a list of the some of the things I use it for. Must be 18 years or older and a resident of the USA. Giveaway will run from March 9, 2017 until March 15, 2017. The winner will be chosen by random.org and will be notified via email. The winner will have 48 hours to respond or a new winner will be chosen. The prize will be shipped by the company, HomeRight. I’d love to use this on my couch to clean the upholstery. This is my husbands dream. I would love to give to him as a gift! Theres a ton of places this would come in handy! My furniture, the toilets, sinks etc. Neat!! OH MY! Have long wanted one of these! Sure hope I win – thank you for the chance to win! Oh would I love this little machine. I read your great article – would love to use this to clean all my dirty, sad grout. Ooh, I need this in my life! Thank you for the giveaway! Our basement recently flooded. This would come in handy in so many areas!! And with four young children, sanitizing never seems to end!! Oh my!!! The baseboards! Those would definitely be my first job to tackle. The dust they accumulate drives me batty, & it’s do difficult to get at. I would love to win this! Looks like it does a great job! Thanks for the opportunity! My home is screaming for this machine! that would be wonderful for cleaning windows (which I hate to do) and freshen upholstery. Thank you for a chance to win. I would love to try one of these steam machines! There’s nothing like a fresh, clean house. Ooooo! I so need one of these! I live in an older home and I need something to get in the corners and clean the glass doors on the shower and the Kitchen linoleum could definitely use a good cleaning! Toilets, toilets, toilets and boys. always need to clean up around the toilet. What a great article on cleaning! Once I saw that this machine cleans toilets I started drooling! That alone is reason enough to make this a must have item! I DETEST cleaning toilets! Give me vomit, diarrhea, doggy poop and any other disgusting mess but DON”T make me clean the toilet! Nastiest job on earth in my opinion! I have never been able to understand why men cannot pee INTO the toilet instead of on the rim and the lid and the seat and the floor and everywhere else EXCEPT the water in the bowl! This would be a godsend and I would be even more of a clean freak than I already am! Fingers crossed and thanks for the chance to win this amazing machine! I used to have a little hand steamer…this looks FABULOUS! Would love to do some deep cleaning in my house! Thanks for this post and the chance to win such a great prize. We have dogs and cats and the upholstery cold really use a deep cleaning. My house is in desperate need of some deep cleaning!! You bring up a great point about pulling out the oven and refrigerator, but I can honestly say this terrifies me, lol. I don’t even want to see what’s under there! Do you think the steam machine would help with tough stains set into the linoleum? Mine looks terrible but no amount of mopping helps. I have wanted one of those forever. I’ve been disabled for many years now and I know that it would help me so much. Cleaning is so hard for me to do and I can only do a little at a time. Thanks for all your tips for how you use your Steam Machine. Gosh, it’d beat getting down on my hands and knees to clean the gray…I mean white…grout! Guess I am behind the times, didn’t even know this little cleaning jewel existed. Would sure make my life easier!! wow this is the right giveaway at the right time.. Hello Spring!! I would love this machine! 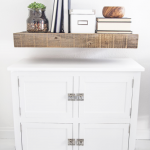 There are so many places I could use this in my home. Thank you for the chance to win it! I really would love to win this incredible cleaning machine. My car and house are in desperate need of a deep cleaning. I was just thinking I needed to find a list for spring cleaning. Thank you! I have never used a steam cleaner but always wanted one. I hope I win! Totally convinced that I need one of these things! Would love to clean our couch on a regular basis – especially since our pup loves to clean his face off after dinner by rubbing his face all over the seat! I love this giveaway! Sure hope I win, I have lots of nooks and crannies that could use a good cleaning! The steam cleaner would be great to clean so much in my house. With 8 animals, I would be beyond thrilled to win this. Thanks for the opportunity! That list is so helpful… definitely going to print out!! I totally agree with putting music on – it always helps make chores more fun! Thanks for the giveaway. I had a steam cleaner years ago I loved it. Definitely use this in my car and love the idea of sanitizing light switches. Oh! This would be awesome! I’d love an easy way to clean the couch cushions and the window tracks! Would love to try steam cleaner. Thanks for àll of the suggestions about how to use it. This would be awesome to own! Thanks so much for the chance! I have this on my list, after seeing all the things you do with it! While I was reading your article, I kept thinking of all the things I need to do in my house. Sometimes spring cleaning can be a little daunting. A steam cleaner would make things sooo much easier. I don’t see a place for comments at http://www.homeright.com/diy/projects/spring-deep-cleaning-checklist; am I at the right place? This looks like a great machine, never thought about a steam machine for cleaning all the things you mentioned! and with all the attachments, looks like a breeze! Thanks for sharing! I would love to win this giveaway you are offering , for one it could make my life easier by being able to use it for many things , after all who really loves cleaning the toilet . I would love to have this machine! Thanks for the chance to win. I love the thought of getting the tiny places totally cleaned. Especially those spots on the toilet. Gross! All the options I never even thought of on how to use this machine are amazing. My bathroom is screaming for this! I love that it will clean the couch. It would come in handy since I have several pets. Music! I love listening to music when I have to do a chore I don’t particularly like…it absolutely makes it easier! I’ve been looking for a few years for a good steam cleaner! I just wish I could find a store in my area that carries the HomeRight steam machine but alas, no one does. Thank you for sharing this! I am going to keep this list as I deep clean our house, getting it ready to put on the market. This looks great!! Could really use. I love the idea of steaning my curtains! I have wrinkles from when I bought them that never hung out! It would be amazing to had a household tool likr this! I would like to use it to clean my toilet. The worst job in my house is the stove! No amount of scrubbing the glass door will get it clean. I’ll bet the steam would do the job! Oh my goodness, I love all the different household items that can be cleaned with this steamer! Actually makes me want to get started cleaning my whole house. Cleaning grout with would surely be easier than using a toothbrush! Thanks for the list to help with deep cleaning. This could make cleaning toilets a breeze! I would first clean out the car, then I would use on the blinds and furniture. My favorite tip was to Have a small tote with a handle to carry all your supplies. And of course, have your SteamMachine filled with water and ready to go!. I absolutely love the air vent tip ,a place I often ignore! I’d use this on my couch! I’ve always wanted one of these! I didn’t even think of half of the things you listed that you can do with it! Clean one space at a time. I have a habit of doing a little here and there in each room and then it never feels like I completely clean any of the rooms. A squegee attachment for window tracks..what?! My life is complete! Wow! I never knew it had so many uses. Cleaning up after my two dogs will be so much easier. I would love to use the steam cleaner for the couches, chairs and beds. My favorite tip or way to use the steam machine is “Don’t forget the light switches. They are some of the most touched things in our home.”. my fav tip would be to play music,this would be great to clean the whole house. Uses so little water and works so well! There are too many ways I want to use a steam cleaner! I love the idea of the toilet! And my grout really needs some TLC. But so does the shower door… wow, my bathrooms would really benefit from a steam cleaner-and we have FOUR bathrooms! Let be all the tips but cleaning windows would be awesome. Love it. So thorough and some excellent ideas I have not thought of. I need it for all the reasons listed however Cleaning the toilet (especially the seat hinges) is a top priority ? Honestly, I can’t give you only one reason why this would be incredible. Lol! My precious Nana passed away last May and she left me her home. It’s pretty big, 5 bedrooms, 3 different levels and tons of old carpet/ stair that need major help. 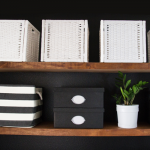 I will be doing little projects little by little but doing the entire house at a time just isn’t in my budget- naturally. Lol. I also have pets so this would be great! 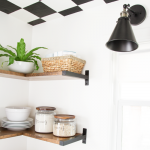 I love that it can do so much like cleaning toilet hinges (yes, please) and grout in the kitchen! A light steam on fondant cakes makes them clean & pretty! I’d love a steamer for this and every other cleaning possibility! ? My favorite way to use a steam machine is on my curtains to get the wrinkles out. Definitely need to do some major spring cleaning around my house! Thanks for the printables. Fingers crossed for the steamer! I’ve been cleaning and resealing the grout on my tile floors small sections at a time over the last couple of weeks. 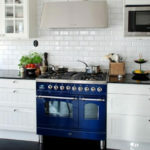 I’d love to try the steamer on those grout lines and so many other places in my home. I can’t wait to use it. I have linoleum floors with 7 Maltese & Pomeranians. I need it soooo bad. Cleaning the grout in my shower! So time consuming, anything to help! Thanks for the chance. I love to use a steam cleaner on my couch and living room chairs . This would be amazing to use to clean the bathroom and shower! I like the reminder about cleaning the washing machine. It’s so easy to forget. The SteamMachine would make that job so much easier! I’m also loving the idea of using it to steam clean our mattresses. Thanks for the great tips . I especially like the one about cleaning window tracks with the steamer. My favorite hint/tip is to play music! I do that when I clean as well! Steaming pillows because any time I’ve tried to wash them, they are ruined! I would love to win this. My car seats need a good cleaning and this machine would be perfect. Please pick me. This would be Awesome!! I need serious help with baseboards and corners.. This would work perfect on my shower doors and also in my laundry room on the terra cotta tiles on the floor. My favorite tip is using deep cleaning the baseboards. 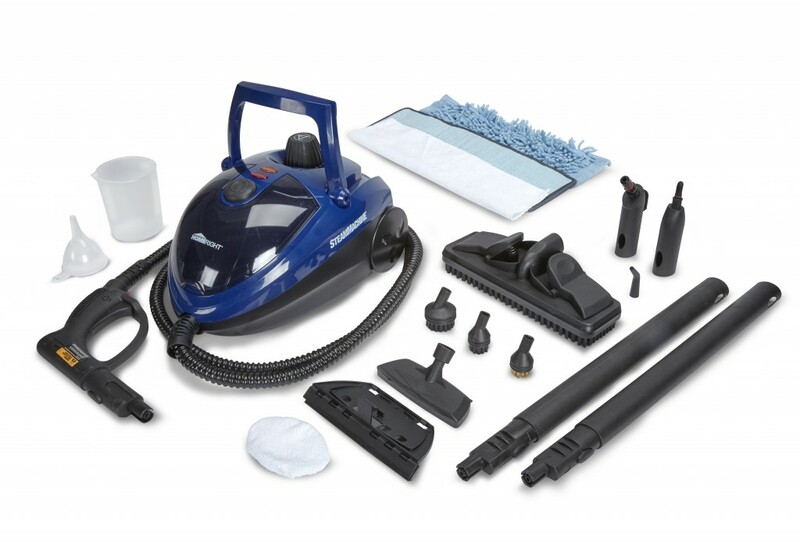 I would use the Steam machine from #HomeRiight spring cleaning from room to room with amazing results! 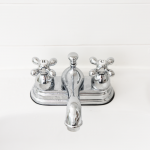 I love your tips for cleaning the bathroom the most, especially the part about using the SteamMachine to clean the spot behind the toilet bowl where the hinge is attached. I sure could use a great steamer like this around my house! Will this device work on painted floors? I have large 5-6 gallon white buckets that i keep for designaged cleaning tools, ,I.e. One for my vacuum, etc. i. Will have a bucket for the attachments and tolls for this steam machine.. I would use it to clean those hard to reach places in my car and in my oven! Would be great to clean the furniture & pillows & curtains all with one machine !!! Clean the whole house . Oh my gosh — I would love to have a steamer. I’m so impressed with all the things you use it for — I thought it was just for cleaning!! My couch could probably use it but I’m seeing clean grout. 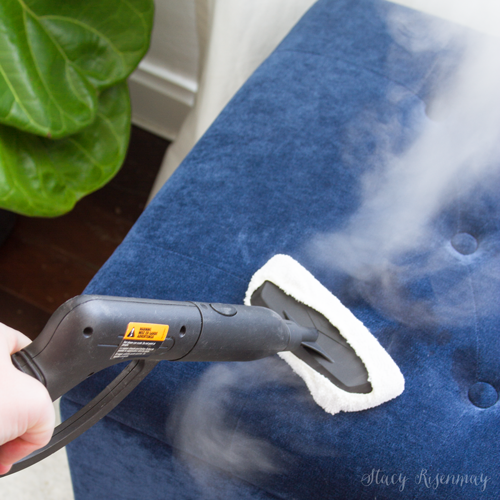 My favorite way to use the Home Right SteamMachine is to clean upholstery. Such an awesome giveaway for a product that I can use and that is useful! I don’t use any cleaning products because of health concerns with harmful ingredients..even scents. So I have to use a heck of a lot of elbow grease and so me ch time to really clean. I can see using this with everything you listed..and really hope I get the chance too! Id use in every area f my home..top to bottom. Especially, the kitchen and bathrooms. I really want to use it on the window tracks throughout the house. I love the tips on using the steam cleaner on the corners of baseboards and the toilet lid hinges! I would love to have one for those areas. I would love this because I have lots of fur babies. I’d use it on my furniture, mattresses, pillows, throw rugs and I’d love it for my oven! Thank you! Baseboard corners! Thanks for the opportunity to win. I would use it to steam my curtains. What a great list of places to clean with the HomeRight Steam Cleaner! I like the idea of using it on curtins and throw pillows! I would also add pet bedding to the list! Thank you for the opportunity! What is the end date for the giveaway? It says March 9 through March, 2017. 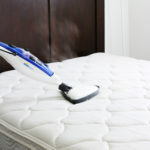 Love the steam cleaning of the mattress! I never thought if that, I usually just vacuum it. Can’t wait to steam all the things! This is wonderful! This would make me feel like my home was so clean. Nothing like steam to clean and no chemicals Love it! With twins who have allergies and a husband with asthma, I would feel this would be very beneficial to their health, as well. I think your tip on cleaning the toilet hinges is a great idea! I would use this on on the baseboard trim. With two dogs my house is starting to smell like a kennel. This is just the ticket. You can only spray so much Febreeze! I just really LOVE the idea of using steam and natural cleaners to clean things around my house. This would be a really useful gift. I so need this for my shower doors and grout. I never thought to steam my pillow. Great tip. I need this to clean my kitchen grout and upholstry in my home. Start at the top and work your way down..great tip. I would clean my couch and car! Probably use it to clean my couch and my curtains. I’d like this very much. Thank you. Love the idea of using steamer for cleaning baseboards. They get so dusty and dirty! I would love to win this! I can use to Clean the inside of my car, clean the windows, all over my house! I’d love to try it on a high chair! It is hard to choose just one tip as a favorite because they’re all going to be my favorite, So I will pick this one Use a SteamMachine with a brush attachment to scrub soap scum off shower stall doors. Also if your shower floor (or tub) has a textured surface, the steam machine with brush attachment will clean it well. I would like to try steaming cleaning on my grout and steam cleaning my uoholstery. Do you know if steam cleaning works on microfiber uoholstrey? One if my couches is covered with that. Thanks. I would love to in this! I like the tip of having a tote to carry all supplies. I love that this comes with many tools to help you get into every possible space…I would love to steam my kitchen with this amazing steamer.. I love that you can use it to clean your throw pillows! One of my favorite ways to use the Steam Machine is for cleaning baseboards. It takes forever by hand and this would be so much faster and efficient. Thanks for sharing this! I have a tiny apartment so having one tool to clean many things is very important! awww couch and bathroom cleaning dreams!!! I’ve dreamed about using a great steam cleaner on the tile grout in the shower and the hard water stains on the shower doors! The best tip was cleaning the corners of the baseboards…I have an older home with multi layers of paint on the baseboards and little crevice that are hard to clean. I would love to use this on my drapes and curtains in the living room. I would love to use it to clean my car! I would love it to clean everything in my bathroom! Bathtub, shower, toilet, floors. Cleaning out the oven would surely be my favorite way to use this product!